Thermostatic valve "Series AV 9"
OVENTROP-Thermostatic radiator valve "Series AV 9"
With infinitely adjustable presetting visible from outside. Presetting is carried out under working conditions by using the presetting key or a spanner 13 mm. Replacement of the valve insert without draining the system. 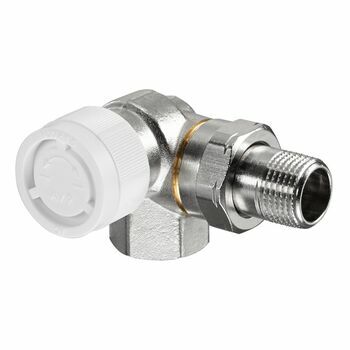 Brass valve with nickel plated body, stem made of stainless steel. For threaded and compression connection. Tested and approved according to EN 215. 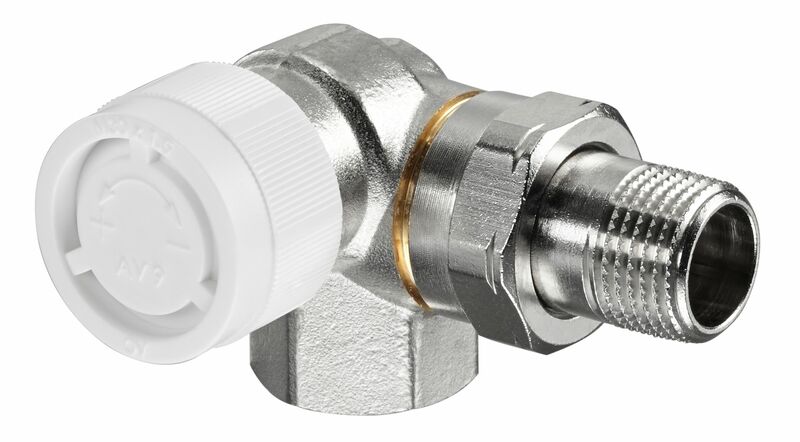 All valves of the "Series AV 9" have a white protection cap with 3 frontal lugs.